In a bid to close a $290 million budget gap, Metro will increase fare on bus and rail lines and cut service starting in July. On Thursday morning, the board unanimously approved the changes. The changes will raise Metro peak rail fare by $0.10, off-peak rail fare by $0.25 and bus fare by $0.25. These increases will raise an estimated $21 million in fiscal 2018, Metro said. Additionally, the plan would increase time between trains and eliminate the bus routes determined to be inefficient. Those cuts would save an estimated $29 million. A plan to raise Metro fares and cut some service took another step forward on Thursday with a vote by the transit agency's board of directors. News4 Transportation Reporter Adam Tuss has details on the proposed changes and when they could be put in place. Metro board chairman Jack Evans said he does not think the fare increases and service cuts will drive away riders. "I think what drives Metro riders away is just one thing, and it's reliability. I don't think safety drives Metro riders away. I think this is a much safer system than people think," he said. "It is a costly system." General Manager Paul Wiedefeld spoke about protecting Metro. "What this system means to the region in the future is huge," he said. Metro may raise fares and discontinue 13 bus routes to help close a budget gap. There's a vote on that subject Thursday night. News4 Transportation Reporter Adam Tuss rode one of those routes -- the 2T that runs from Dun Loring through Vienna and up to Tysons -- and explains what's at stake. Unsurprisingly, the threat of service cuts are not popular with riders. "I need the bus" daily 2T bus rider Ruth Garcinizo, who does not have a drivers license, said earlier this month. 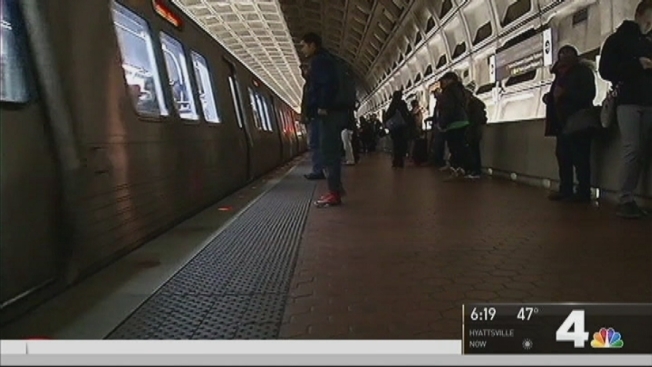 Metro has cut hundreds of positions and will use some federal grants to help close the gap. Earlier this month, Metro General Manager Paul Wiedefeld said the fare hike and service cuts are necessary. “I recognize that even with some relief for customers, this proposal is tough medicine for the region, jurisdictions, riders and Metro employees, all of whom must contribute to balance this budget," he said.